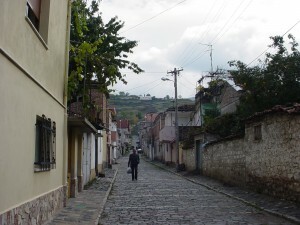 The only cobblestone street in the country where cars are not allowed. would throw back our ball, torn. 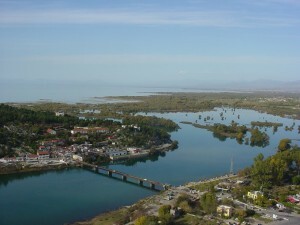 Shkodra is a two hour drive north of Tirana, sharing a border with Montenegro through Lake Shkodra, the largest lake in the Balkans. 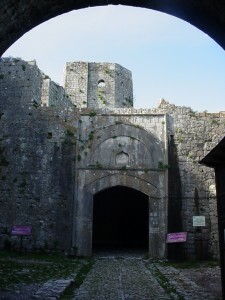 The Castle of Rozafa stands on a hill overlooking the meeting of two rivers, Buna from northwest and Drin from the southeast. 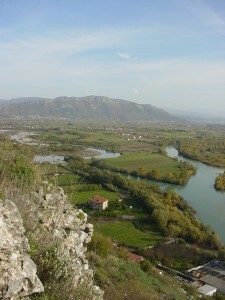 Buna river as seen from Rozafa Castle. 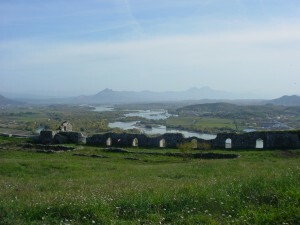 Lake Shkodra farther in the background. The legend of Rozafa has captured my imagination since when I was a child. It’s a simple story: what it takes to keep a promise, a prominent theme in Albanian folklore. 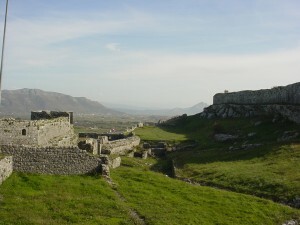 The castle is some 2,500 years old, with its first stones being cast a long, long time ago, when the Illyrian tribes of Labeats and Ardians lived in the land. Legend has it that a thick fog fell over Buna river, covering it for three days and three nights. After three days and three nights, the fog lifted, the wind sent it over Valdanuz hill where three brothers worked at building a castle. But the walls they built during the day came down at night, all their hard work going to waste. An old man happened to pass by and the brothers asked him if he had any advice on how to keep the castle walls from being destroyed every night. Hesitating at first, the old man asked them all if they were married, then told them that for the walls to stand, they had to sacrifice the wife who would bring them lunch the next day. She’d have to be buried alive in the foundations of the castle (immured) for the castle to stand strong and last. The brothers promised one another that they wouldn’t say a word to their wives at home about this. However, the oldest brother told his wife advising her to avoid bringing them lunch tomorrow. So did the second brother. Only the youngest brother kept his word and didn’t say anything to his wife. The next day, the mother-in-law asked her eldest daughter-in-law if she could take lunch to the men. The eldest daughter-in-law said she couldn’t, because she was sick. The mother-in-law asked the second daughter-in-law, who in turn also said she couldn’t, because she was going to visit her own family that day. So the mother-in-law turned to the youngest daughter-in-law who was ready to go except that she was worried her newborn son would be left at home crying and needing milk. The other two daughters-in-law quickly offered to take care of him, so the youngest one set forth to take lunch to the brothers. When her husband saw her coming up the hill carrying a pot of wine on her left shoulder and a tray of bread under her right arm, he threw down his hammer and started cursing the stones. “Why do you curse the stones, love?” Rozafa asked him. “Cursed is the day you were born,” said the eldest brother, “we’ve agreed to bury you alive in the foundations of the castle so that the castle walls will last”. “May you prosper,” she replied, “but I have one request: when you bury me, leave my right eye exposed, my right breast, my right arm and my right leg. Because my son is still little. When he starts to cry, I will watch him with one eye, I will caress him with one hand, rock his cradle with one foot and feed him with one breast. May my breast turn to stone and the castle stand strong. May my son grow to be brave, become king and reign a long time”. Afterwards, they buried her. The castle walls were built tall and lasted for centuries. They say the stones at the feet of the walls, are moist, covered in moss, because the mother continues to cry for her son. Looking out at Drin river. Old well cracked where the ropes would lift buckets of water out of it. 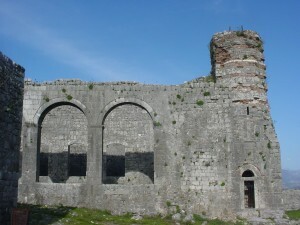 Old church built circa 10th-12th century A.D. During the Ottoman occupation, the church was turned into a mosque, around the 17th century, part of the minaret structure surviving to the right. At one point, Christians and Muslims would worship in this same building at different days of the week. I am back in the U.S., but will continue to post a few more things about my stay in Tirana the last week in Albania as well as about a few more trips I took to the old cities of Shkodra, Kruje, Berat and Vlora. I had no internet from end of October until my return to the U.S. on Nov. 11th so couldn’t post anything sooner. Here’s a little unfinished note on Tirana. How do you know you’re in Tirana? Well, for me, one sure sign is walking on the boulevards and finding my feet needing to dodge other people’s phlegm every two steps I take. I don’t know what it is, but catching men spitting on the street here is as common as having to clear the air of mosquitoes on a summer evening. I don’t know why they have this need to clear up their throats and spit out with such determination as if that would help them instantly start a better life. You’d think it’s from all the smoking they do here, or the pollution. But I think it’s more complicated than that. Something cathartic about it. An inexplicable need to curse the ground they walk on. I didn’t notice this anywhere else in Albania. On a more general note, you know you’re in Albania if you’re driving on the highway and see humongous gas stations that are at the same time hotels, bars, restaurants, cafes and supermarkets all built into one. Quite glamorous too, colorful and the cleanest things around! One thing I’ll miss from here is the laundry machines and laundry detergents. Laundry takes a long time here, maybe an hour and a half for a wash and then you have to air dry everything as drying machines are not that popular. But once your clothes are done washing, they’re really clean. And the laundry detergents smell so good this side of Europe. I wouldn’t mind doing laundry for a living here. 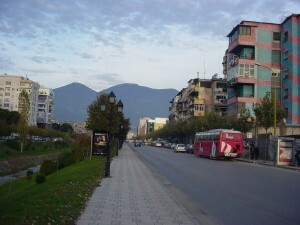 I’m not sure how I feel about Tirana even now that I’ve spent more time in it. It just doesn’t sit right with me that nothing has been done to prevent the amount of new buildings constructed here even as everyone knows that there are more buildings than there is need for. 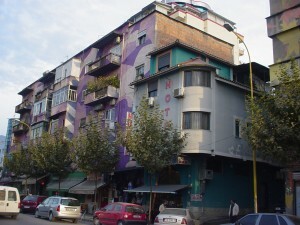 The entire population of Tirana is a little less than a million in a country of about three million people, but there have been enough apartments constructed to fit a population of three millions in Tirana alone. 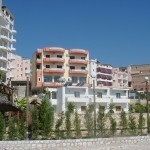 The number of apartments constructed in other touristy cities such as Saranda, Vlora and Durres is just as ridiculously large compared to the population count of those cities. I have a sinking feeling about this. Anyone can feel free to move in and I bet they will, from all surrounding countries and then there’ll be a small America all over again in the midst of Europe. Or maybe I’m being unrealistically paranoid. But it’s not rocket science to figure out that the powers that be have given this country up for grabs. So I leave Tirana knowing that for things to feel promising they will have to first look terrible like the current big dig smack in the center of the city. What does this tower of Babel aim for? The construction has come to a halt since early last year. Someone has also already bought the building. 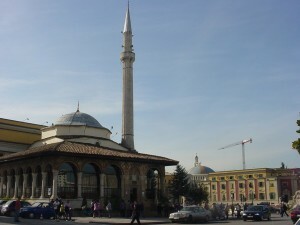 The Et'hem Beu Mosque began in 1791 and completed in 1831. One of the few mosques that was not destroyed during the Communist regime. Lana river just to the left, mount Dajti in the background, and the old buildding where I used to live, third from the right. You can hardly see it painted with camouflage colors now. 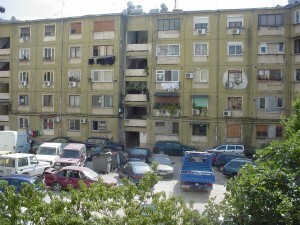 Another photo of the building I grew up in, facing Lana River. I lived in the corner apartment on the second floor which aparently has now become a small hotel. The big dig on the city's Skenderbeg square. 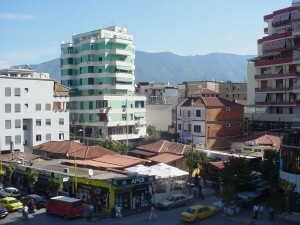 Tirana International Hotel to the far right, once the only 15-story high building in the entire country. 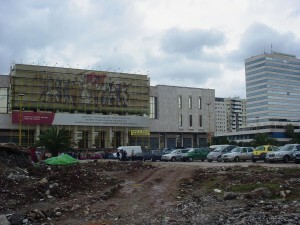 In the front, the National Historical Museum under reconstruction. Really bad photography, but this is the Palace of Culture foregrounded by the big dig. I wanted to end the post on Tirana with this photo, since on this day, November 8, the Palace was coveered in blue banners that read "Without Visas to Europe" or "Roma: One hour away", "Lisbon: Three hours away", "Berlin: Two hours, 20 min. away" etc. It was the day Albanians were granted the liberalization of visas to 27 countries in Europe. Kthimet u dogjën me Trojën”. All returns burnt down with Troy”. Yes!!! I woke up this morning and there was snow on top of Dry Mountain and other several ranges of mountains that surround Korça. I’ll be leaving for Tirana shortly and this is the best way I could leave this part of Albania with my head turned back to look at snowcapped mountains. I guess small things like these left an impression on me because I’m not used to practicing this type of hospitality in my own house, although I’ve grown up with it and my parents still bring out the treats every time we go there or someone else visits. Sawing the braid on paper to give shape to its pattern. and then the spaces between the hoops of the braid are filled in with more delicate and intricate work done mostly with a typical needle. 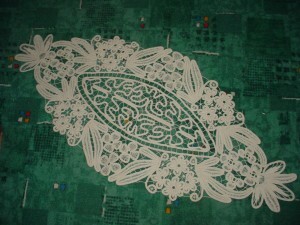 This type of crochet is of Romanian origins, usually done by nuns who had the time to busy themselves with such intricate work. 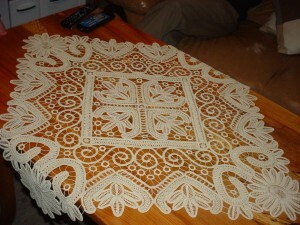 In Albania, you’d only find this type of crochet in very few families where the women had learned how to stitch this way in special schools run by Italian nuns who’d come to Korça before WWII. Before the war, one woman’s grandmother who went to this school also subscribed to the school’s magazine that still runs today in Italy called “Mani di Fata” (Fairy’s Hands), a magazine that would come to Albania until a few years after WWII ended. 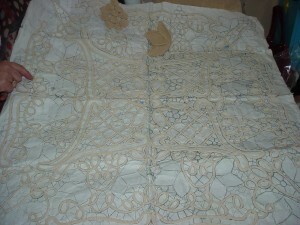 Same pattern, finished, as the one shown above on paper. To end my chapter on Korça for the moment, and having introduced Lasgush Poradeci a few posts below, I thought it would be of interest to post another translation of mine of a poem written for Lasgush by Natasha Lako, Albanian poet and novelist born in Korça in 1948. 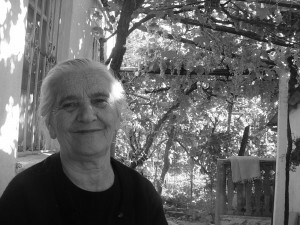 Along with my mother, Julia Gjika, Lako belongs to the first generation of Albanian women poets. Their first books of poems date from 1971/1972. I’m also thrilled to mention that my mother’s fourth book of poems came out here in Albania this week and I can’t wait to go to Tirana to pick up a hard copy. Perhaps I’ll translate and post a poem from that book here soon. For now, here’s Lako’s poem, “Piano, Piano”. kept on aging – piano, piano – the dead Mozart within. fine music notes needing no stave lines. was born to break – piano, piano – our funeral march. but as this isn’t possible, piano, piano, everyone has left. So thought Lasgush, or the poet, simply. The ending resonates with me when I think of the Albanian exodus in the summer of 1990 and spring of 1991 following the collapse of a 48-year long Commusit rule. About one in six Albanians left, the only possible reaction of a people who had been kept in complete isolation for half a century. Today, every family in Albania has at least one blood relative making a living somewhere else in the world. 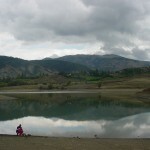 I see the lake in Lako’s poem as a symbol of freedom, and the ability to hear it speak as a way of comprehending true freedom and spiritual fulfilment. In the early ’90s there was no way for Albanians to know how to listen to freedom, much less translate what they were hearing. But 20 years later, I can see they’ve learned how to play freedom with all their fingers… Pretty soon the liberalization of visas in this country will take place and Albanians will finally be able to travel to most countries in Europe again like any other free citizen. For this “më bëhet zemra mal”, an old Albanian saying that basically means “I’m so glad/happy” but which translates as “my heart becomes a mountain”. It’s 3:00pm, the time when most Albanians have finished lunch and are in their bedrooms or simply lying on the couches of their living rooms for their afternoon siesta. I’m sitting outside on the veranda of my fifth-floor hotel room facing the lake. It’s so quiet, the smallness of the city is palpable. Or maybe what I’m feeling is the unmistakable presence of my own body, fully here now for the first time ever since I’ve arrived in this country. Someone is playing the violin several buildings behind me from a first or second floor apartment. 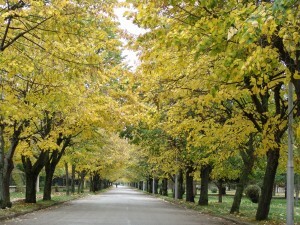 Autumn on the boulevard of the old Communist villas. 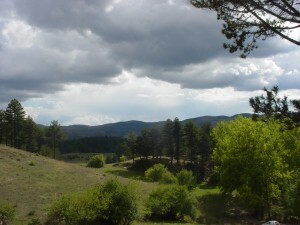 Far in the horizon, where Macedonia’s hills and mountains should be, a fine blue cloud has hidden them away. Now I know why Lasgush would call this “the boundless lake”. On days like this, you can’t see where the lake borders on the opposite side of this shore. 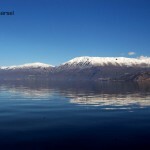 The lake, the blue film of cloud and the sky are one endless escape from the mountains extending out into the lake from both sides of Pogradec. Seagulls are whirling above like certain thoughts you love to keep returning to. 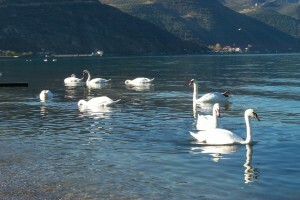 A mother and child are out by the lake feeding breadcrumbs to three swans. One car drives down below. Then quiet again. Then somebody’s young dog is very upset, barking his head off that I’m not sure if it’s really a dog barking or a bunch of turkeys stuffed inside laundry machines. Another car passes… someone is sawing wood on the outskirts of the city. If I were out on the lake right now it would be even quieter, so quiet that it would be louder, the way lake water channels sounds from the shore to all its corners. It’s the end of October. A few more weeks and the first snow will make this place more magical and more lonely. Last night I watched the full moon rise from Dry Mountain a sliver at a time like the round face of a child who plays shy from behind a couch just to catch your attention. 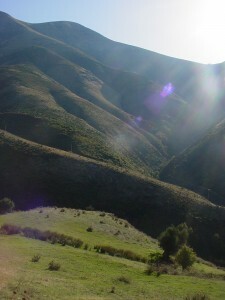 Local legend has it that the mountain once was full of trees, vegetation, animals. Both sun and moon rose from this mountain as they do to this day and the mountain fell in love with the moon. However, the moon would kiss the mountain and then leave. Kiss and leave, kiss and leave, and the mountain dried out from longing. Nothing grows there anymore. This morning the fog lifted and the clouds were gone. I’ve been in Pogradec for the weekend and after a long week of rain, the sun has sent off all clouds behind Dry Mountain and the sky can see the lake again. I went for a walk along the passeggiata by the lake, a 1-2km long sidewalk that runs along the lake on one side and the city’s park on the other. It’s windy so the lake is playing ocean. I seem to be the only female walking here. There are no children or young adults. They’re either at school or at work at this time of day, this time of year. The only people out on the sidewalk with me are elderly men who I find sitting in groups here and there across the park playing cards, domino, or simply debating over something. Orphaned elderly people are general all over Albania. 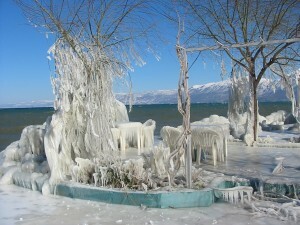 If you drive away, north of Korça, for about 40 minutes, you’ll reach Pogradec, the city by lake Ohrid which faces Macedonia, mainly St. Naum, Ohrid and Struga. It rained softly just now and the sun was shining at the same time. And then I was right to expect a rainbow which arched over the entire lake bridging the gap between the two countries. 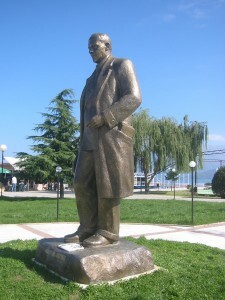 Pogradec is the city of two of my favorite Albanian authors: Lasgush Poradeci (1899-1987), major poet of the 20th century and one of the best translators of Russian and British poetry into Albanian. The other one, Mitrush Kuteli (1907-1967), was one of the best prose writers, author of Tregime të Moçme Shqiptare, (Ancient Albanian Tales), Lasgush’s contemporary and long-time friend. 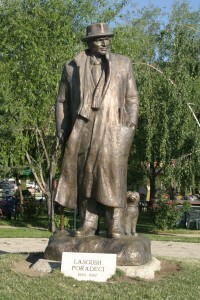 Bronze statues of the two writers stand facing one another in the park at the entrance of the city, right next to the lake. The statues were made by a local artist and have been put here a little over a year ago. Lasgush has his faithful dog Cuci (pronounced tzoo-tzee) standing next to him. Holding on to a cane, hat sitting just above his eyebrows, he’s turned his head toward the lake as if to say: “how could anyone not want to be a poet”. Mitrush is holding books in the pocket of his coat and his hat on his right hand; he seems to be looking down, but right at me as if he knows exactly why I’m here. That’s why I can’t look at him for too long. Like a shadow a fine cloth slowly-slowly spreads above. 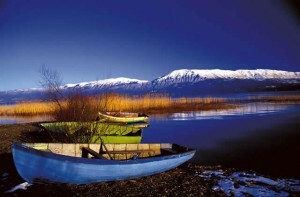 The breath of an Albanian night is heard throbbing from all sides. Youth’s heart sinks within my soul. Old Drin, the spell-caster, flows down from St. Naum. Misting sunset on the boundless lake. Coming down from the sky, fading into hamlets low. 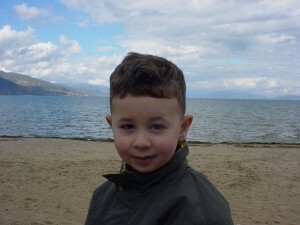 3-year old Enrik. I met him in the park by Lasgush's statue and his mom said he has to come see Lasgush (+Cuci) and Mitrush here every day before going anywhere else. 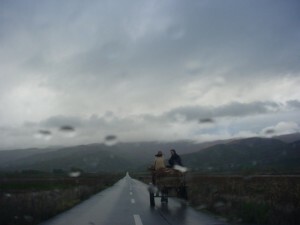 Autumn is here and for most of Albania that means rain and lots of it every day. 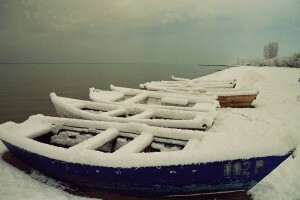 I’m thinking of James Joyce’s description of snow in “The Dead”, how snow is general all over Ireland. The same is true for rain in October here. It’s not a heavy rain, although from time to time a really dark cloud may pass and you can soak in seconds. But mainly, the rain here is gentle and a bit of a poet, falling on you so that it becomes part of you without you noticing. 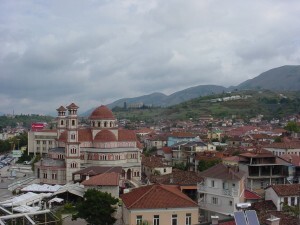 Early in the morning, clouds cover the hills and mountains that surround Korça, the city where my grandparents were from and where, as a child, I spent all my summers. Clouds stretch as far down below as Shëndëllia (St. Ilia hill), Kampi i Punëtorëve (Workers’ Camp), Varrezat e Dëshmorëve (Cemetery of War Heroes) and from there, like the hands of a drowsing octopus, reach out over the houses down the cobblestone streets that lead far from the hill and into the center of the city. Varrezat e Deshmoreve (Cemetery of War Heroes) in the background, on top of the hill. I had missed these streets the most. You can leave the main Republika boulevard downtown, turn right into any one of these cobblestone streets and look up to where they lead at the feet of Shëndëllia hill. With my sneakers tightly laced, sweatshirt zipped up to my chin, I’m ready to head up all the way to the end of the street and then hike up the hill to Kampi i Punëtorëve for a coffee, or go see St. Triadha church. On the way there, I greet the women who’ve come out to sweep the strip of land in front of their houses. What I like best is the variety of houses on each street, one more unique than the last one. Each woman takes care of their gardens so there’s a competition of flowers and all the ladies are winners. Outside one house, firewood has just been delivered and the man who lives there comes out to carry it inside, an armful at a time. Most houses still have a wood stove for general heating with a long tube extending from the stove to the ceiling where the tube twists and goes through the wall to carry the smoke out of the house. Campi i Punetoreve (Workers' Camp) on top of the hill, now turned into a hotel and resturant/cafe. During Enver Hoxha's time, it was available as a vacation camp for anyone with a job, coming from any town of Albania, to stay here for 15 days a year. My favorite thing to do as a child was to sit in the living room, possibly when no one was around, so I could hear the fire battling down the wind inside the stove. My grandfather would say that the louder the fire spoke the harsher the winter would be. 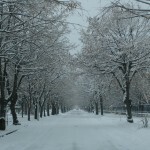 From what I heard last night in the house I’m staying in, it’s going to be one such winter. 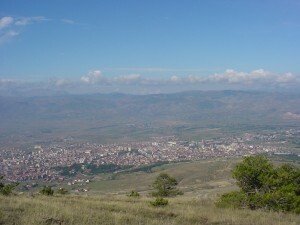 The closer you get to Shëndëllia hill, the more of Korça you can see down below. 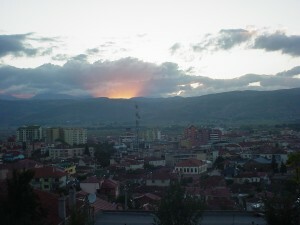 Korca as seen from the top of Morava mountain to the right of Shendellia hill. 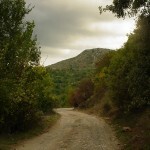 From there, if you take a left, you’ll reach Barçi, an old village of Korça that is now stretching down the hill and becoming nearly an extension of the city. Barçi is predominantly Muslim, but all the Muslims here go to church. There is no mosque. If you go to the house with the green metal gate that sits at the end of upper Barçi, close enough to the village cemetery, you’ll find the old lady that rolls fresh tobacco she grows herself and smokes it without filter. She’ll recite poetry for as long as you’ll sit there to listen and then she’ll give you raki and you better drink it if you call yourself a woman or man. Raki is an alcoholic drink made from grapes, sometimes from mulberries, transparent just like water, but a little sip of it and you feel all your veins breathe. 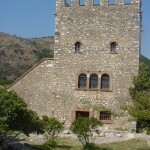 St. Ristozi, old church from the 1200s. Frescoes inside are still in very good condition. Katedralja Ringjallja e Krishtit (Christ's Resurection Cathedral). I remember when they first started building it in 1994. 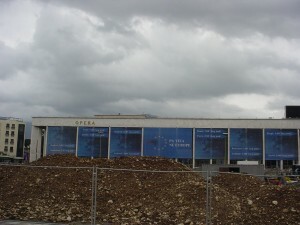 It was officially opened in 2001. To be a giant and these mountains stepping stones... 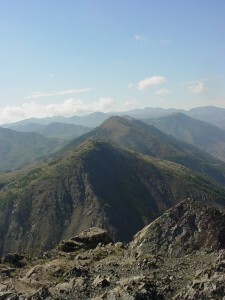 Looking out from Morava over Cardhak, a range of mountains where the water is so pure. 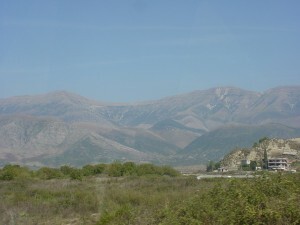 Italians in 1926 invested on the Beer Factory of Korca and made sure the water for the beer came from these mountains as it does to this day. 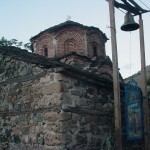 St. Ilia on top of the Morava mountain above Mborje village. 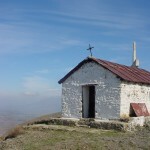 A wonderful and spacious hotel and bar restaurant is at the end of its construction only a five minute hike below this church. 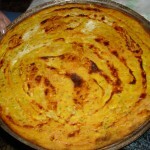 Pispili - a savory pie-like dish my aunt made my first week here. Traditionally, Korcar women make spinach pie (like the Greek version of spinako pita), but Pispili is even more delicious as it's made of a thin crispy layer of corn flour above and on the bottom, then stuffed with a yoghurt, egg, cheese and leeks filling. Yummm!! The best thing about Korça, is that within 20 minutes in any direction, you can find yourself in any mountain you want, visiting any village you like. 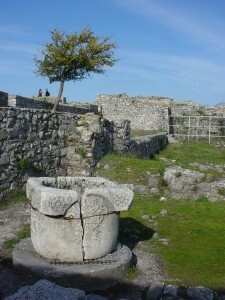 I guess I’ve fallen in love with the villages of Southern Albania. Everywhere I go, I go a little farther, out of the city. 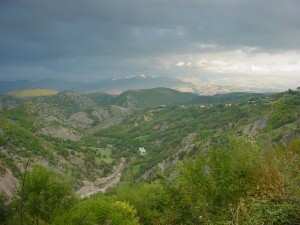 And since Albania is full of mountains, you’re bound to walk this land one mountain village at a time. 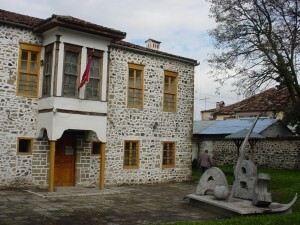 Below are some photos from different surrounding villages of Korça. 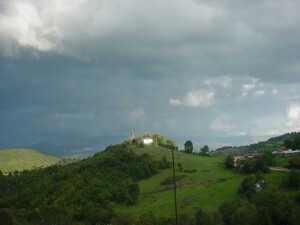 Voskopoja, a mountain village, west of Korca. Used to be a city in the 16th century with wide streets of shiny white cobblestone. It had 25 churches at one time, inhabited entirely by Orthodox families, but it was burnt three times through centuries, from the Muslims, and later from the Germans. 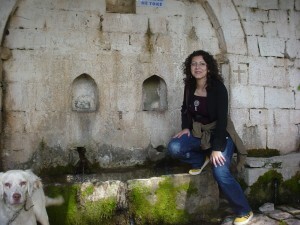 Old waterspring at St. Prodhromi Church, from the 1600s. 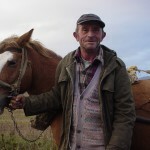 Albanian peasant from Devoll village. Someone had asked a peasant how he felt now that the roads in his village were mostly paved and he had said, "mire o mire, por po na caplehen lopet!" meaning something like "eh, it's quite fine, but our cows are dropping spread-eagled on the floor". 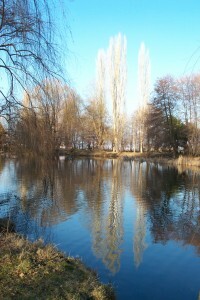 Fall in Stropan village. 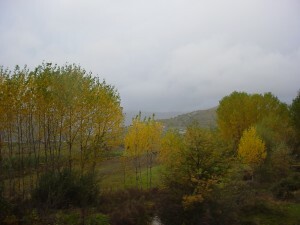 These type of trees (called "plep" in Albanian and I believe they're "poplars" in English), abound in most flat villages around Korca. In the fall, they turn yellow and right now they're either fully yellow or highlighted in green and yellow. 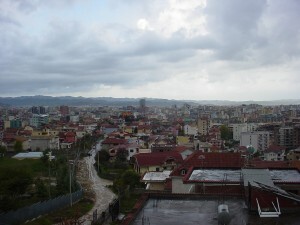 Soon after my arrival in Tirana, I headed south to visit the place where my maternal grandmother was born and raised. All my life I had heard the words, “nga një fshat minoritar Grek” meaning, “from a Greek minority village” when I would ask where grandma was from. 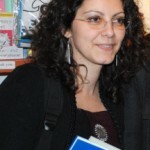 I didn’t understand until much later that she was of Greek origins, born and raised in Lefterohor, a small village off of Delvina in the district of Saranda, the southernmost city of Albania. 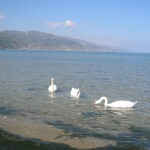 Saranda is only 2 miles by sea from the Greek island of Corfu. 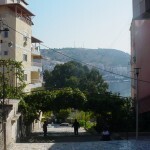 Most of the Greek minority in Albania lives in the south, in and around Saranda, ever since the borders were divided between Greece and Albania in 1913. The language spoken by the ethnic Greeks differs slightly from today’s Greek language. 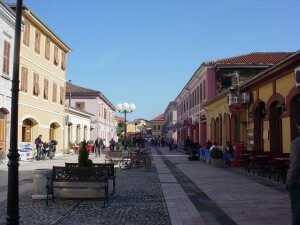 “Lefterohor” is made up of two Greek words meaning “a free village”. 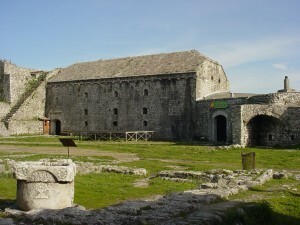 Lefterohor is said to have been inhabited before the 16th century. In 1582, there were 48 families living there. In 1852, the number of families decreased to 30. 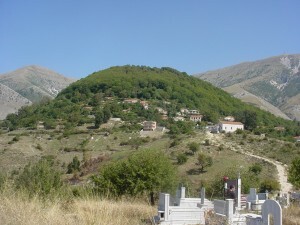 According to a population recount in 1913, the village was inhabited by 240 people all of whom were Hellenic, (Greek). In 1926, there were 76 families, whereas today, only about 90 people altogether still live in Lefterohor. All you see from Saranda when you try to find Lefterohor in the distance is a row of mountains. But the mountains are mostly gray and Lefterohor is easily distinguishable because it’s the only hill in the midst of these naked mountains that is covered entirely by a lush green chestnut forest. The village houses lie right around the feet of the forest. Everyone’s sons and daughters have immigrated to Greece after the ’90s and have sent money home for their families to rebuild their houses. 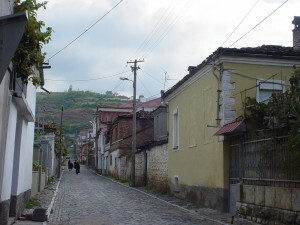 All the houses I saw were beautiful with brand new tiled roofs and white walls, plenty of yard space, but the main road to Lefterohor is yet to be paved. As I’m writing this, the prime minister of Albania, Sali Berisha, is promising on TV to rebuild a further 2,000 Km of roads to villages and remote Albanian communities throughout the country. If he really pushes this and succeeds, he’ll be my favorite Albanian yet! 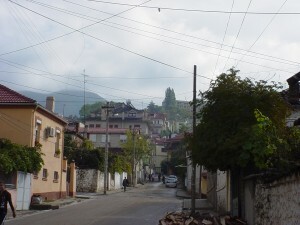 Unfortunately, Lefterohor, like many Albanian villages and small towns, is now inhabited almost entirely by elderly people. Immigration has taken all youth abroad and the houses and streets wake up and fall asleep to the sounds of these older people walking quiet corridors every day. 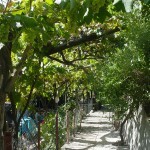 But the village is full of life in another way: delicious grape vines in every house, fig trees, apple trees, walnut trees and the best cold water that comes straight from the mountains. Here’s my grandma’s first cousin, the sweetest little woman who gave me homemade fig marmalade on toast for breakfast that morning. When she’d smile, the skin on her forehead wrinkled quite gracefully like tatted lace. 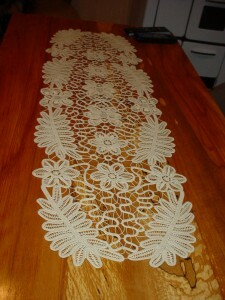 Tatted lace covered everything in her house as in most Albanian houses: tatted curtains, tatted bedsheets, centerpieces, blankets. 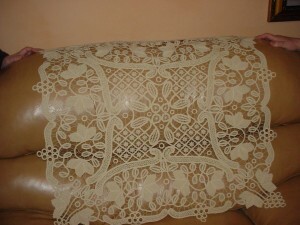 Nothing says more home to an Albanian than a room where coffee-tables, bookshelves and windows are dressed up in intricately designed tatted lace. I asked her if she felt more Greek or Albanian and she couldn’t answer. I was happy that she didn’t. My mother came with me to Lefterohor and when we left, the old lady gave us a few wreaths of dried figs to take home with us. Mom returned to the U.S. a few weeks ago unaware that the figs wouldn’t pass through customs checkpoint in Boston even though she had packed them in her check-in luggage. A customs lady had torn open her suitcase when the zipper had gotten stuck, then proceeded to remove each article of clothing one by one. When she had found the wreaths of figs, she had taken a knife and sliced each one fearing there were drugs inside them and made a scene even as my mother was telling her that she was ill and couldn’t stand there much longer. The figs ended up in a trash can at Logan Airport. In the end, my mother had to demand her suitcase be taped as there was no way to close it shut. It was unsettling to hear about this even though I understand the mistake my mother had made. But what does it take for those who are supposed to protect us to begin to persecute us? I saw this in Tirana, too, in government offices where officials are supposed to help common citizens. I can understand officials who have suffered the intolerable behavior of other customers, but I don’t understand how they now treat everyone with disrespect as soon as they know you are Albanian. I suppose all I can do is pray for these people to be more patient with the world. I know they are doing their job and I’m grateful for it, but maybe they shouldn’t be doing that job if they can’t handle it all the time. 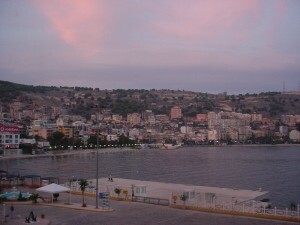 After spending two days and one night in Lefterohor, I returned to Saranda. 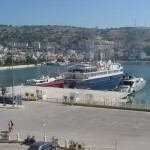 Saranda has been a famous Albanian vacation spot for decades and is now enjoying a healthy tourism from all over the world. 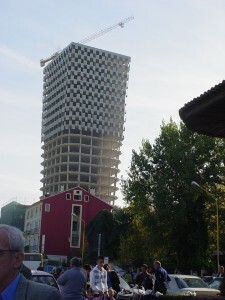 However, here, too, like in Tirana, sheer concrete has taken over natural beauty. There are more apartment buildings and hotels constructed recently than there is need for. Wherever you go, you see empty buildings either under construction, or abandoned, because of overconstruction. Still, a city on a white rock surrounded by blue waters can’t but take your breath away. I decided to visit the national archaeological park of Butrint, a microcosm of medieval history, located only a half hour ride from Saranda. According to a brochure I picked up at the entrance, what one sees today at this site is a mixture of monuments that represent a timetable of 2,000 years, from the Hellenic temples of the 4th century B.C. 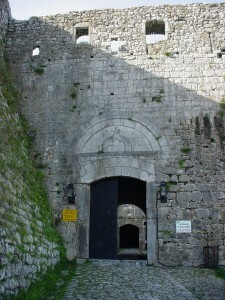 to the Otoman fortification walls built at the beginning of the 19th century A.D. The great Basilica, church of early Christianity, circa 6th century A.D. 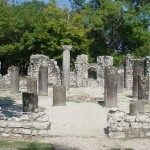 According to classical mythology, Butrint, earlier known as Buthrotum, was founded by immigrants who fled occupied Troy. When Priam’s son arrived here, he sacrificed a bull which, after writhing in pain from the wounds, finally died on the seashore. Taking this as a good omen, the place was named Buthrotum, meaning “the wounded bull”. 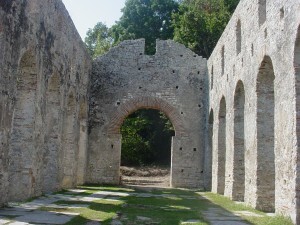 Virgil’s poem “Eneid” tells of Enea visiting Butrint on his way to Italy. Around the ruins grows plenty of fresh rosemary. I found Daphne, rooted and waiting by the Roman bath. Everything in Butrint is built entirely of white rock, so I picked up a small piece of rock and replaced it from the left side of the path I was walking on to the right – a small personal gesture that I had been there. There’s something about the ignorance of another country’s language that makes your trip there so much more liberating and exciting. You’re free to imagine what the people mean whenever they open their mouths, what they’re saying about you, what their lives are like. You’re free to imagine new sounds you can make and when you attempt to really speak with them the conversation is so much more charming: they’re amazed by your perseverance to learn something so difficult and you’re amazed at how happy they are that you know the words for “the bill, please”, or, “how much for this”. It’s also liberating to be a mere citizen of your own country. It’s liberating to get lost in a crowd of many who speak the same language you do. But here, I am neither a complete foreigner who doesn’t speak Albanian, nor a proper Albanian even though I speak the language. Here, I’m anything but liberated. More like cautious, worried, anxious, unsure about how or when to smile, or for how long. As soon as I open my mouth, I’m one of those people who left this country and didn’t come back. When I first got here, I felt resentful. 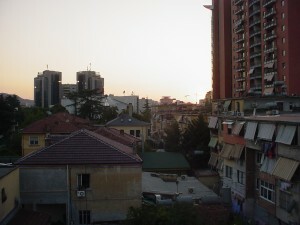 I didn’t like Tirana at all. This is where I grew up. But a little walk and a bus ride around the city and I felt like I was suffocating in someone’s living room where a naughty child had taken all of his toys and thrown them in a fit on the floor. Buildings and cars. They’re too many and everywhere in Tirana. Wherever you look, they seem to have landed on top of one another the way that spoiled child threw them. I have to grip my friend’s hand when I cross a little street because there are no semaphores, or, if there are, there are too many cars that push forward before I can put my feet on the street. Then, the greatest paradox: on one of the main boulevards, I watch a stray white dog dodge about ten different cars as she calmly, but swiftly, crosses the road. A little while later, a car hits a 60 year old man who jumps in the air, lands on his feet, and arms akimbo continues walking without saying a word to the driver who nearly killed him. I went to see the place where I used to live, a small second-floor apartment that we sold right before moving to the U.S. in 1996. I met one of my friend’s mother and my friend’s son who was as old as the time I’ve been away. 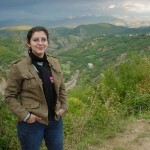 My friend was at work and I’ll meet her when I go back to Tirana. When I left, I didn’t even take a photo of my old building, or of Lana river which crosses just behind our house. Instead, I took a photo of the building right in front. What is now a toy-like parking lot used to be a little park I played in with all the other kids from this building. They’ve all moved away to some country in Europe or someplace else in Tirana. I still remember playing on the foundations of this building during its construction in the early 80s. A large skull drawn in charcoal next to the electricity box and the words “rrezik vdekje” – “deadly danger” made us all want to play around those bare, roofless columns and empty rooms even more. Nearly 30 years later, the building looks more barren than it seemed then before it was completed. I finally managed to access my blog this weekend. I’ve been in and around Albania for a month now, getting sick half of my time here so far, feeling frustrated, loving the land. On my way here back in early September, I remember getting on an Alitalia flight from Rome to Tirana (the capital city of Albania), a short flight of less than an hour. The entire plane was filled with Albanians. There was no air conditioning and everyone was complaining and trying to fan themselves with the safety instructions pamphlet. The only Italian on board kept asking the stewardess to do something about the A/C, that it was a shame there was none and that the Albanians will register this and remember… . It was a brief introduction to the state of affairs this side of Europe, be they economical, social, or both. The plane must have been old and had a defect. Hopefully, all flights to Tirana do cover all the basic necessities. Outside of the airport, I was looking at things, automatically trying to place what I saw with what I’d previously seen in other places I’ve lived: Thailand, India. Stray dogs outside the airport were bathing in the sun just like in Thailand and the taxi drivers rushed to take my suitcase like they do in India and Thailand unless you’re accompanied by someone else. Luckily, my uncle was waiting for me. The ride from the airport to the center of the city was brutal in the sense that there are so many pedestrians and cars on the road; people walk and drive each at their own speed and rules and funnily enough, that makes the traffic move quite well. You don’t get stuck here the way you get stuck in traffic on the pike in Boston. Here, there’s no order and yet that’s how things move. 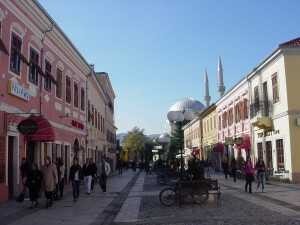 I’ll post a few photos for now and come back to write about Tirana and other towns on different posts a little later. Even now, a month later, I still feel like I’m not really here, like I’ve only come here telepathically, somehow. My body isn’t here yet. But my eyes are glued here right now. 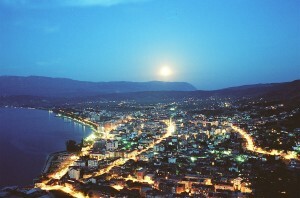 This September, I will travel to Albania, where I was born and raised. 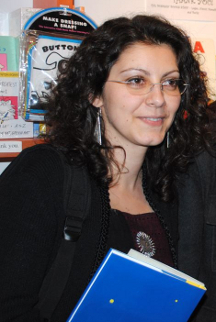 I’ll spend two months revisiting places I probably misremember, hopefully write new stuff, and meet with the Albanian women poets whose works I am translating into English. This will be the first time I return home after 14 years. The most prominent theme in my writing, so far, is my Albanian childhood. 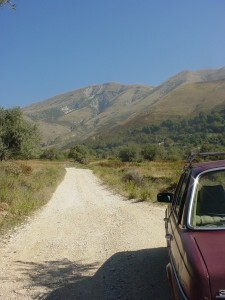 By going back, I risk invalidating everything I’ve ever written about Albania: I have hardly any family left there; the boulevards and esplanades where I walked with friends are probably wider, stronger, able to accommodate cars, or motorcycles; the friends themselves mostly gone, and those who remain, possibly too strange. I hope this journey affects my poetry in ways I cannot predict, in ways that I welcome.